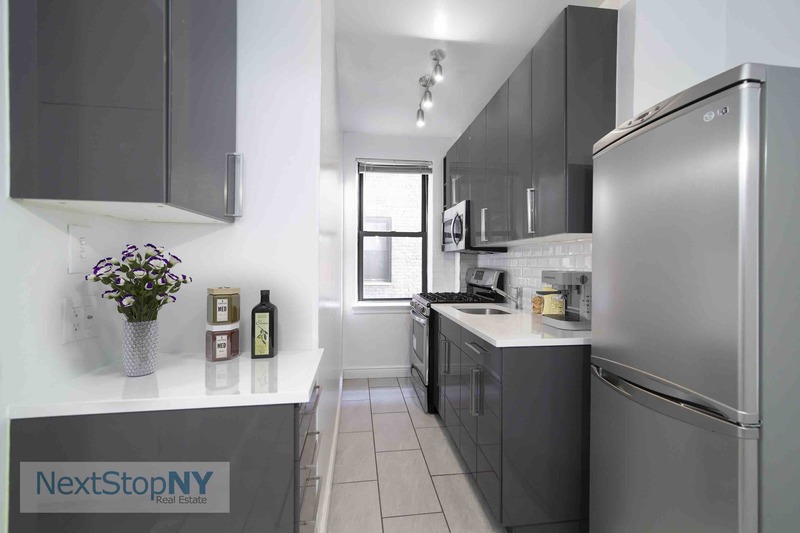 Welcome home to this charming fully renovated, move-in ready, one bedroom, in the heart of the Upper West Side. Step into a large entity foyer with two closets, stunning arched ceilings and a sunken living room. The foyer can house either your home office or your gracious welcoming entryway. 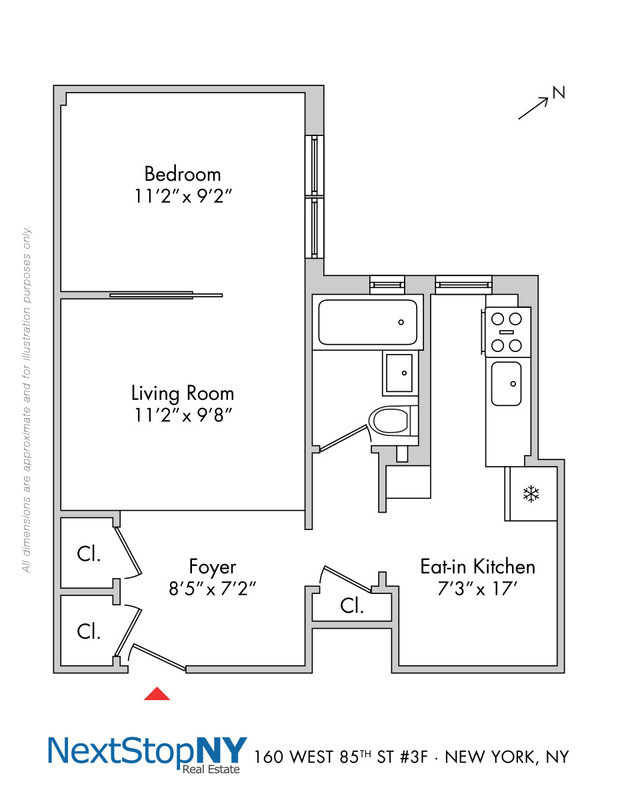 The apartment boasts North facing windows in the bedroom and west facing windowed kitchen and bathroom. The light is stunning and streams in bright beautiful light throughout. Pocket door separates the living room and converted bedroom. 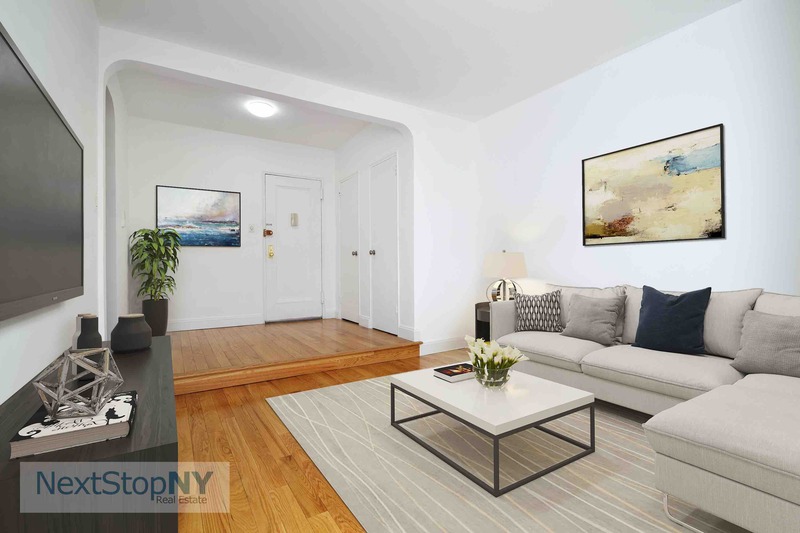 Apartment 3F has beautiful plank hardwood floors throughout. The fully renovated eat-in kitchen with attached dining room, offers counter space and cabinet space galore for all of your entertaining needs. 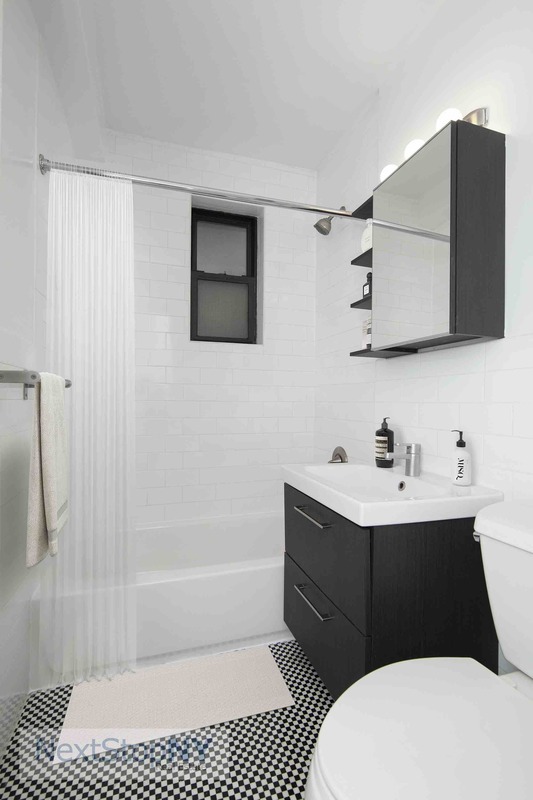 The brand new renovated bathroom highlights the classic style of the apartment. Additional storage closet in the hall makes three total large closets. 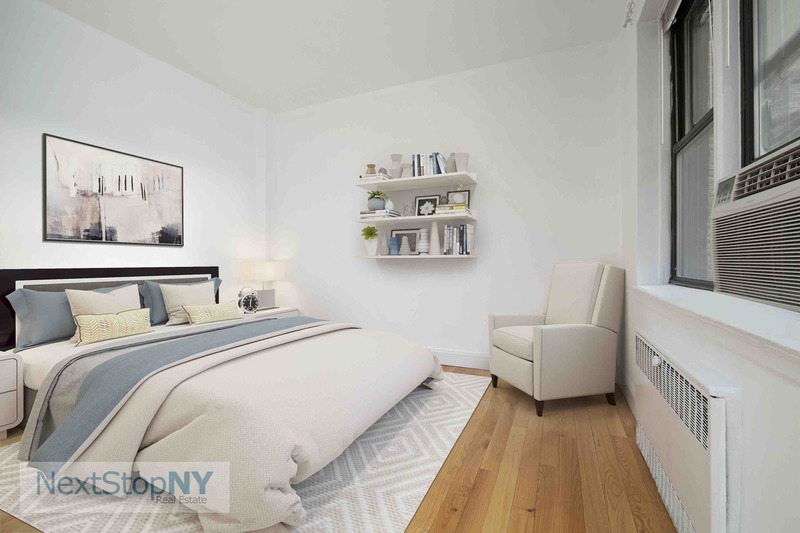 This is not just your standard cookie cutter NYC apartment; it is a home with a smart well laid out flow from one room to the next. The most notable feature of all is the very low maintenance! 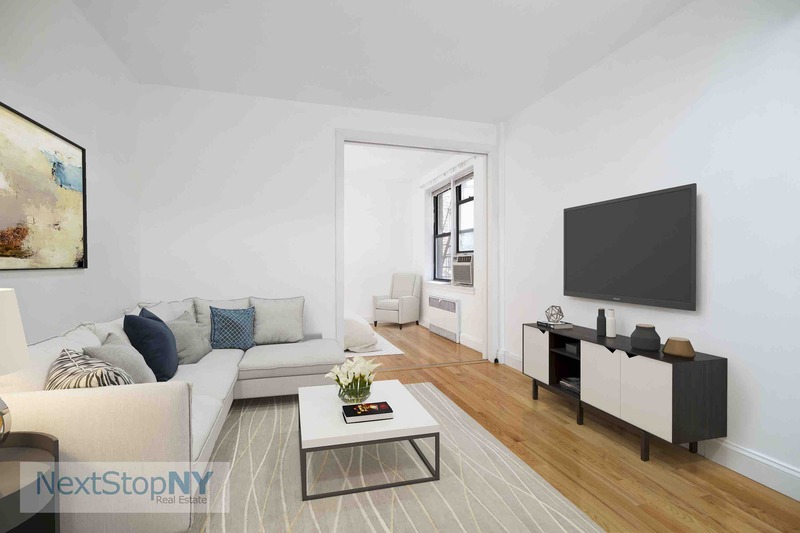 160 West 85th is a post war, art-deco style, elevator, co-op building in the heart of the Upper West Side. Building features include: Live-in Resident Manager, Intercom entry, Central Laundry room, Private Storage, Bike Storage, & Pets allowed with board approval. Pied-a terres, co-purchasing, guarantors, and gifting are all allowed. 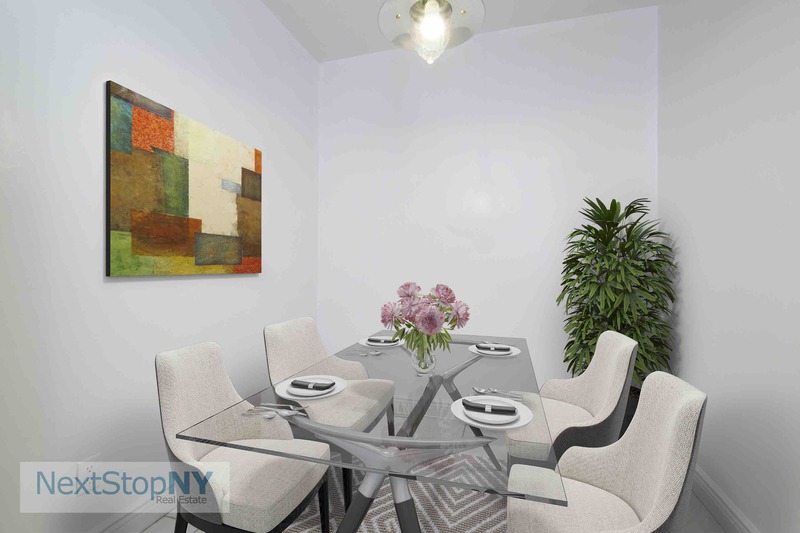 Centrally located on a lush tree-lined 85th street between Amsterdam and Columbus, 160 W. 85th offers a neighborhood unparalleled to any other with boutique and commercial shops, restaurants, museums and central park. Nearby bus and subway transportation will bring you anywhere you need to be in the city. Schedule your private showing today!